Compare factories of 20 years ago to those of today and in most cases they won’t look too dissimilar. On the surface, you may be right, but dig a little deeper and their heart will have changed as they adjust to a more volatile global marketplace. Alongside increased cost pressures and heightened quality standards, consumers now expect customised products, fast delivery, greater flexibility and shorter lead times. As a result, efficient working practices are more important than ever – but how can factories of the future accommodate this? Of course, the digital transformation – from the configuration of networked machines and systems through to the fully digitalised value stream – will be key. With some six billion objects now IoT-connected, we’re already seeing manufacturers taking significant steps towards a digital future. But for some, taking the leap into the digital age isn’t straightforward, with the benefits of Industry 4.0 and the process of implementation not fully understood. To understand where the benefits of digitalisation lie, Bosch Rexroth developed its own Factory of the Future, demonstrating every possibility and exploring how manufacturers can implement them step-by-step for maximum impact. Let’s explore some of the key benefits, and how close the future is. In the Factory of the Future, all hardware modules and functions are represented digitally in real-time. Sophisticated software solutions collect, transfer and process data from manufacturing and logistics to analyse, simulate and improve all processes across the value stream. 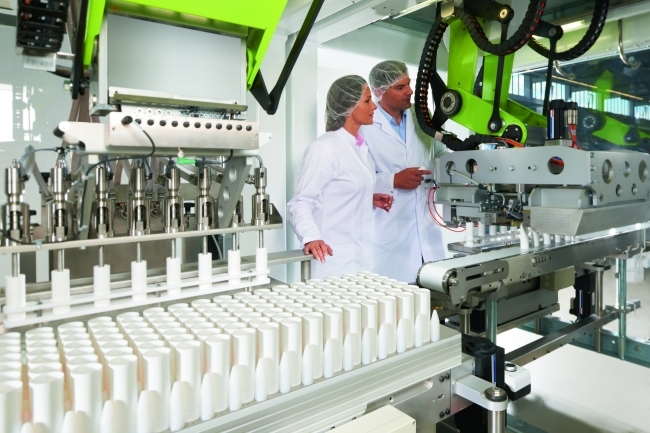 On the factory floor, real-time gathering and processing of data from sensors not only enables production quality checks at the point of manufacture, but also facilitates accurate machine and system health checks through continuous monitoring. 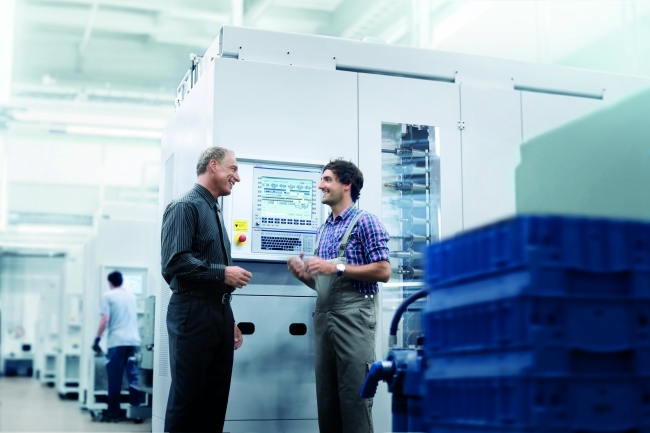 Distributed intelligence manifests itself in all technologies and gives machine manufacturers new options. From cabinet free drives which reduce cabling; low energy, intelligent hydraulic power units; to assembly workstations which provide employees with work instructions that are adjusted to the individual’s level of training and knowledge. At the same time, for factories looking to evolve gradually, older machinery can realise many of the benefits cost-effectively using a pre-configured plug and play IoT gateway. Setting the stage for increasing productivity in serial production, smart factories will make it possible to (re)configure production lines and facilities to fast changing requirements. Taking connected hydraulic systems as an example – sensors can be added to horizontally and vertically networked machine architectures. Predefined functions within the software can be used to control the position, velocity, distance/force, different synchronous cylinders or path-dependent braking and improve performance by dynamically adjusting flow and pressure. Managing these functions in real-time, via the software, allows users to operate more efficient when producing small batches and reduces the retooling work for new products. Further improving flexibility, the increasing use of wireless technology has the potential to mobilise machines and plants. Instead of power cables, which effectively tie a machine to a specific place in the factory floor, machines will be powered by inductive charging from the floor of the hall, with the added benefit of 5G connectivity as a faster, more stable means of data transfer. What we’ve learned in developing the Factory of the Future is that when you consider what can’t be changed, surprisingly little remains: the floor, the walls and a roof. The rest of the factory: the machines, automation topologies, equipment, communication paths, even the people and how they work together are subject to the changes demanded by modern manufacturing. The notion that a process facility is too large or too old to move towards digitisation is a common one. Whether a facility chooses to take a granular approach to getting connected, or prefers the idea of a complete digital overhaul, it is important to remember that digital technologies are highly scalable – making them relevant to any business, of any size, at any stage of the process. In fact, Industry 4.0 presents a host of opportunities for manufacturers to incrementally change how they do things. Putting sensors on key pieces of machinery to provide real-time insights into equipment health and making use of the Internet of Things to collect data, streamline operations and improve efficiency are just some of the benefits.